PRIVATE VIP TOUR: 6 p.m. with Owner/Brewer/Host Brian Peters. There will be no fees for the venue or tour. 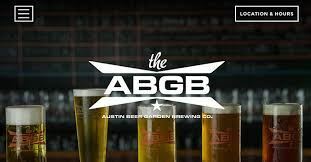 The Austin Beer Garden Brewing Company believes that beer has the power to make the entire community better and strives to take beer's innate goodness and put it into action improving the neighborhood, city, and the lives of lots of folks in Austin.